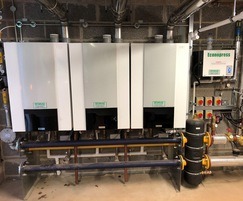 A custom-built Modupak heating solution, including three R40 EVOLUTION boilers, was supplied by Stokvis for the new music school and performance arts centre at the Haberdashers’ Monmouth Schools in Wales. 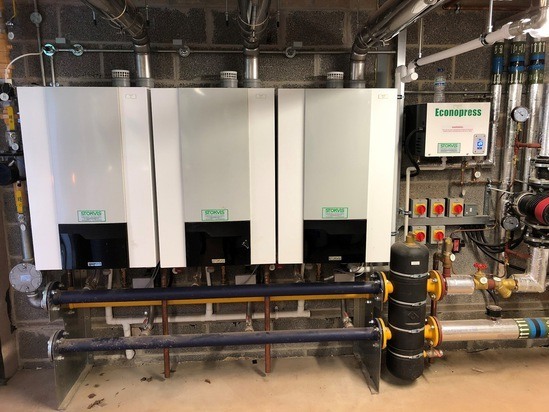 The modular heating system also included a pair of Stokvis Econoplate BV units, consisting of plate heat exchangers, buffer vessels, circulation pumps and controls. A Stokvis Econopress pressurisation set was also supplied. The R40 EVOLUTION and its virtually limitless Modupak options, is easy to site, eco-friendly and one of the most flexible heating systems on the market. Stokvis Energy Systems’ area representative visited QODA’s offices, assisting with sizing the R40s to ensure they offered sufficient capacity and maintenance flexibility for the redevelopment’s combination of underfloor heating and conventional radiators.